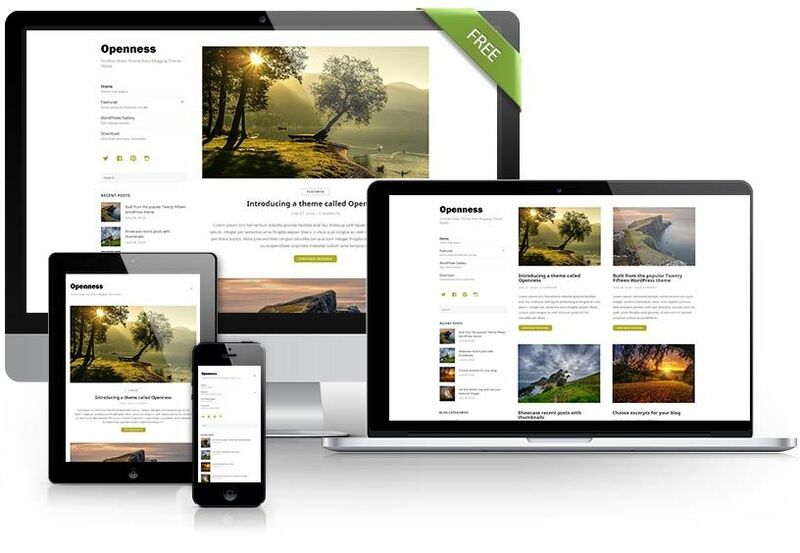 Get this theme or choose one of our premium themes for free when you sign up for any hosting plan with us. Openness is built from the popular default WordPress theme called Twenty Fifteen theme, but we made several changes and enhancements to give you the flexibility that you need. Openness is really the best choice for personal blogs, especially if you write articles with a lot of images. We even included some attention to detail shadow styling for images, so if you want to add some depth to your pages, Openness is perfect for you. But start with a visual style that is more refined, unlimited colours, at least a couple blog layouts that include a grid concept, RTL support, show or hide various page elements. Click on Free Download to get this amazing theme. For support, you can post your questions to the theme’s WordPress.org support forum by clicking on the Support button. just in case you decide to opt in for the premium instead! Please note that some of the styling features are based on recommended plugins to use with the Moderne Pro theme to take full advantage of it, although optional.